Barrington Hills resident Andrew Stoltmann has been a Prince fan longer than he’s been a lawyer. Stoltmann is representing a client in Prince’s estate case.But in 17 years of practice he never had a connection to the musician and singer until now, when he finds himself holding onto some of Prince’s gold and platinum records as he works to help settle an estate valued at about $300 million. In early May, about two weeks after Prince died, Stoltmann was asked to represent Prince’s niece in the estate case. Stoltmann, who has offices in Barrington and Chicago, accepted and became the lead counsel for Brianna Nelson, 31, of Milwaukee, Wisconsin. She spent much of her childhood at Prince’s Paisley Park mansion because her deceased father, Duane Nelson Sr., was Prince’s half-brother and the head of Prince’s security team, Stoltmann said. “Sorting through the alleged heirs has been a daunting task since literally some 400 people have claimed to be related, with 99 percent of these people actually being not related,” said Stoltmann, 44. A Minnesota judge has ordered DNA testing to determine rightful heirs. Then, on Aug. 3, he had a chance to tour Prince’s mansion. Because Prince died without a will, the distribution of his estate is determined by Minnesota law. Without known children or surviving parents or spouse of the deceased, the estate then goes to the brothers and sisters or half brothers and half sisters or their heirs. The same type of issues that popped up with the estates for Michael Jackson and Elvis Presley have arisen in Prince’s case. They involve valuations of unreleased music and memorial concerts, he said. 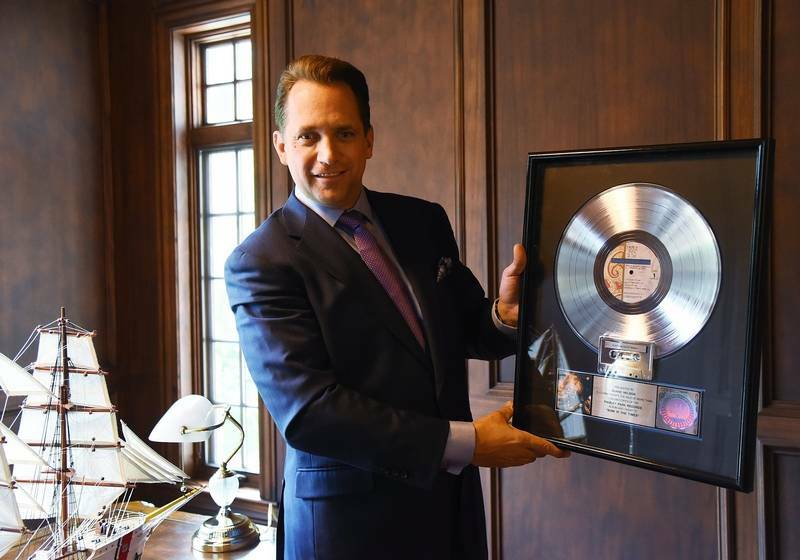 Andrew Stoltmann, who is representing Prince’s niece in the musician’s estate settlement, holds a platinum record for “Sign ‘O’ The Times” at his home in Barrington Hills. 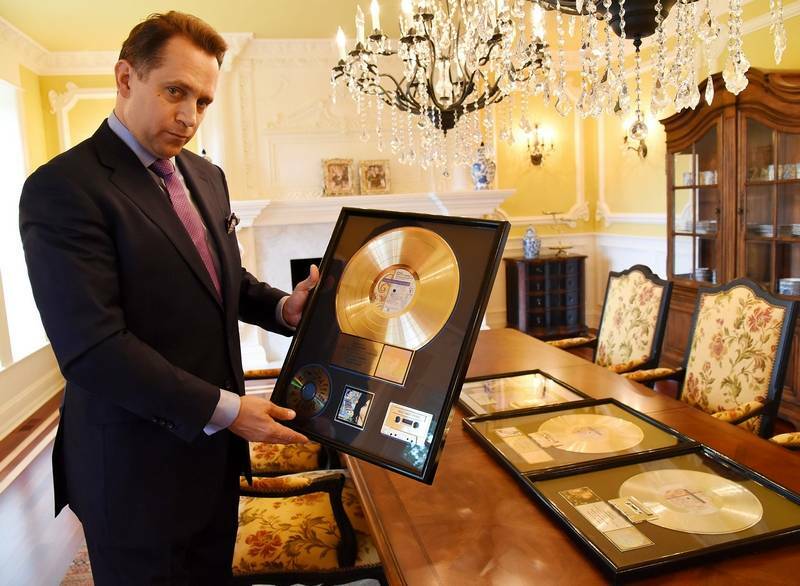 The Nelson family gave Stoltmann some of Prince’s gold and platinum records in appreciation for him handling the case. He told them he would hold them until they ask for them back. The gold and platinum records, given by the Recording Industry Association of America, represent huge album sales. Though not actually gold, they sell for thousands of dollars to collectors. Andrew Stoltmann, who is representing Prince’s niece in the musician’s estate settlement, has a gold record for Prince’s “Lovesexy” at his home in Barrington Hills. Andrew Stoltmann, who is representing Prince’s niece in the musician’s estate settlement, has a gold record for Prince’s “Lovesexy” at his home in Barrington Hills.